Tsuruga Castle, also known as Aizu-Wakamatsu Castle, is a hilltop castle in Fukushima Prefecture built by Ashina Naomori in 1384. 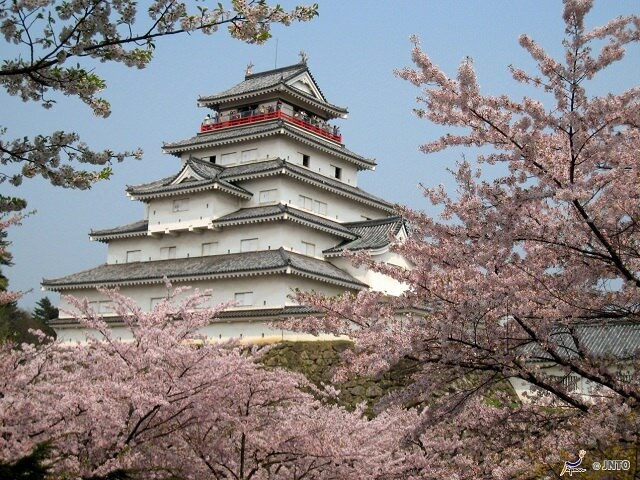 The castle was originally named Kurokawa Castle and served as the administrative center of Aizu for almost five centuries until 1868. 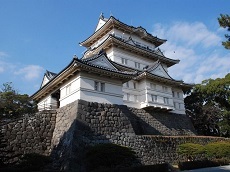 It was in 1592 when lord Gamō Ujisato redesigned the castle that Tsuruga Castle gained its new name. In 1868, the Boshin War, sometimes referred to as the Japanese Revolution, took place. This was a battle over power and control of Japan between the Tokugawa family and the Imperial Court. The imperial court was victorious, thus regaining political power. 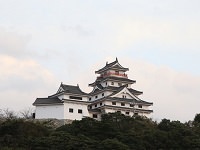 It was during this war, specifically during the Battle of Aizu that the Tsuruga Castle was besieged and later partially demolished. The castle was reconstructed in 1965 and now features a museum interior with displays on the history of the city and the castle. 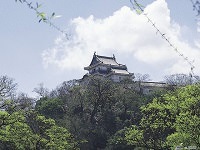 The castle also features an observation deck with great panoramic views of the city of Aizu.